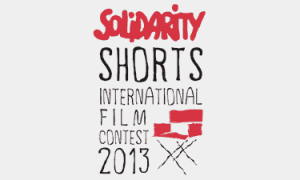 Shorts Solidarity is an international film contest aimed at young people from all over the world. The goal of the contest is to encourage individuals to take a deep look at the relations that take place between people and cultures in our world, expressed in the form of a short film that will reflect their vision of the idea of solidarity in the XXI century. Solidarity Shorts allows its participants to not only show their vision of solidarity, but also has them to learn of the history of the “Solidarność” (Solidarity) movement in Poland. The contest is open to anyone who is under 30 years of age and can handle a digital camera, camera phone or any other device that can be used for recording videos. The competition is organized every year in cooperation with leading Polish films schools. This year’s edition of Solidarity Shorts will be concluded during the World Summit of Nobel Peace Laureates. Guests of the Summit will have possibility to view the works of the Solidarity Shorts Laureates which will be screened in the hallways of the Palace of Culture and Science.